1. What are strep throat and tonsillitis? 2. How do people catch strep throat and tonsillitis? 3. What causes strep throat and tonsillitis? 4. What are the symptoms and signs of strep throat and tonsillitis? Most of us may have experienced having a sore throat at least once in our lives. Sometimes it is just a mild cold that disappears after a few days. But on other occasions, a sore throat can last much longer and make you unable to talk, to drink, and to eat as easy as you normally do. It can also go with a fever, a headache, nausea or vomiting. In those cases, you might have something more serious than a mild cold. One day you wake up and suddenly feel soreness in your throat which is really irritating. One or two days later it becomes worse. Your friends say that you have a strep throat and suggest you should go to see a doctor. But then you are diagnosed as having tonsillitis. These two diseases seem to be rather common as you hear people talking about them frequently. They are usually mistaken for one another, too, so what are the difference between strep throat and tonsillitis? What are strep throat and tonsillitis? Before learning the difference between strep throat and tonsillitis, you should know what they are. Tonsils are two lymphoid tissue masses located at the back of your throat that protects your body against infection by preventing pathogens from entering the airway and producing antibodies. But sometimes the tonsils themselves are vulnerable to pathogens. Once they are infected with bacteria or viruses, they become inflamed, and that condition is called tonsillitis . Strep throat, on the other hand, is the infection of the throat caused by group A Streptococcus bacteria. They live in your throat and nose. Normally they cannot cause a disease thanks to the body’s defense mechanism, for example, the skin, the mucous membrane, etc. If unfortunately the line of defense is damaged or a significant number of bacteria exist in your body, you are vulnerable to the pathogen. In addition, strep throat is more common in fall and early spring . 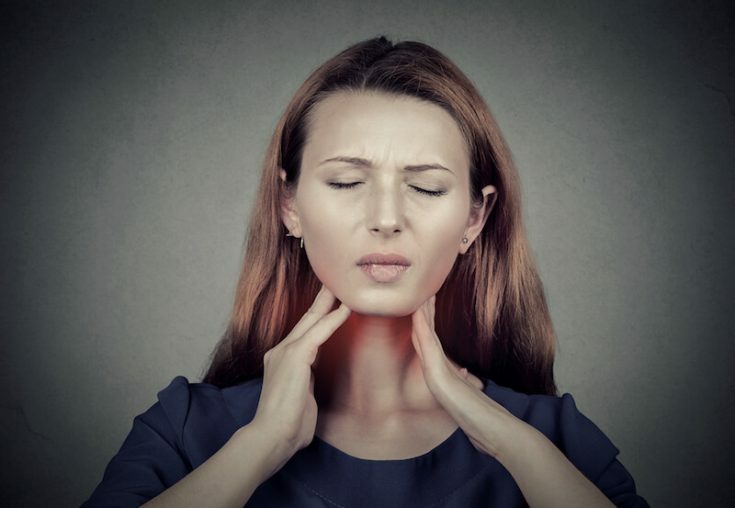 The first difference between strep throat and tonsillitis is that strep throat affects both the pharynx and the tonsils, while tonsillitis refers to the inflammation that primarily affects the tonsils. How do people catch strep throat and tonsillitis? You can catch strep throat and tonsillitis in similar ways. For instance, when an infected person coughs or sneezes, he or she spreads some droplets into the air and they can carry the pathogens to you. Besides, if you have the pathogens on your hands after contact with infected people or infected items and then you touch your eyes, nose or mouth, you are likely to catch the disease. Children are the most prone to these two diseases because they have not had complete immune system and experience to defend themselves from the disease. (However, STREP THROAT IS RARE IN NEWBORNS and children under three years old . What causes strep throat and tonsillitis? It is a common mistake to think that strep throat and tonsillitis are caused by one type of bacteria or virus, but they actually have a difference in terms of cause. 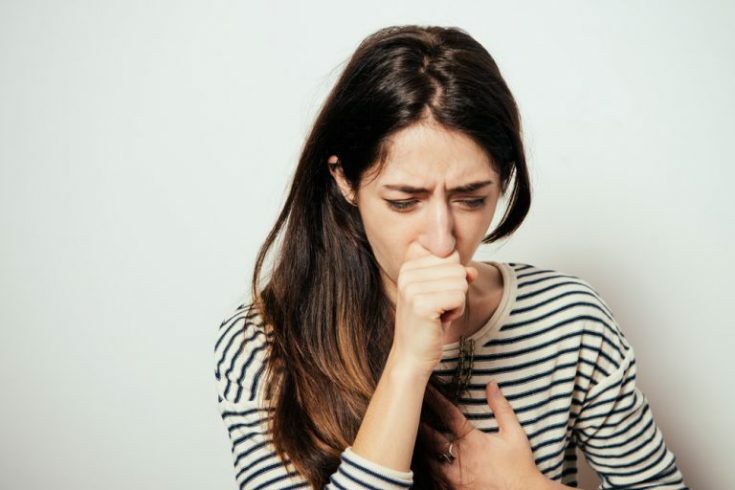 Strep throat is caused by group A Streptococcus bacteria (for example Streptococcus pyogenes).In addition to strep throat, the bacteria is widely known to cause rheumatic heart disease, one of the most common heart diseases among children and adolescents. In short, strep throat has only one cause which is group A Streptococcus bacteria, while tonsillitis has a wide range of causes, including bacteria and virus. What are the symptoms and signs of strep throat and tonsillitis? It is hard to tell if someone has strep throat or tonsillitis based on his or her symptoms. However, there are some symptoms that can demonstrate the difference between the two diseases. As you can see, besides some similar symptoms, strep throat and tonsillitis actually possess some differences which can be very useful in diagnosing the diseases. It is of great importance to diagnose whether it is strep throat or tonsillitis because treatment is a major difference between them and is decided based on the diagnosis. 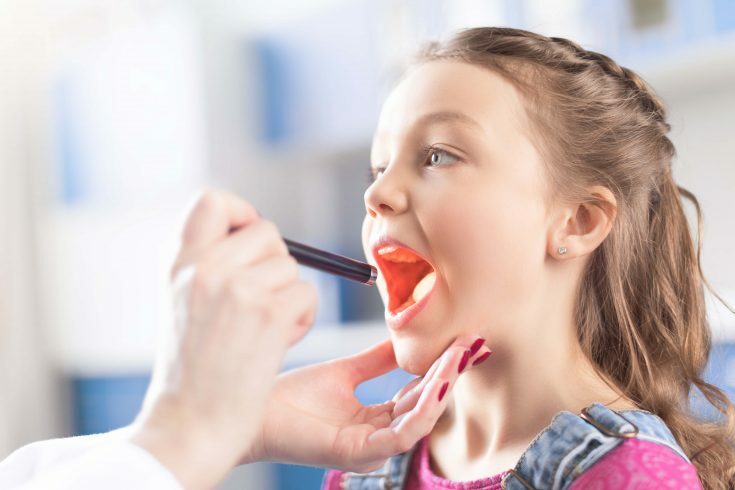 First, the doctor will ask the patient about the history of symptoms which can be very helpful as some symptoms can associate with strep throat but not with tonsillitis and vice versa. This concept can be seen in the example of having a rash in strep throat. Next, the doctor will thoroughly examine the patients to look for any signs referring to the disease. For instance, if the patient has red spots in his or her mouth, it is likely to be strep throat. The doctor sometimes discovers some white patches in the patient’s mouth. In tonsillitis, patients usually have them on only the tonsils instead of other areas of the throat as in strep throat. A useful method for diagnosis is the throat swab. The doctor uses a swab to get a sample of secretions from the patient’s throat and send to the laboratory to perform some tests to look for Streptococcus bacteria. If the results are positive, the patient probably has strep throat or tonsillitis caused by Streptococcus bacteria. However, if the results come out to be negative, the patient is likely to have tonsillitis caused by viruses . Symptoms, signs and some specific tests will help the doctor tell the difference between strep throat and tonsillitis in order to diagnose precisely. Diagnosis of the cause is also essential as the appropriate treatment is chosen based on it. Strep throat and tonsillitis may have similar symptoms. However, when it comes to treatment, they actually have a considerable difference. Rest: adequate rest can help your body recover faster and boost the immune system. It is normally recommended to sleep at least 10 hours a day for children, and 7 hours a day for adults. When you are sick, the sleeping time can be higher. Refrain from heavy working and exercising. Drink adequate water: to prevent dehydration and help maintain homeostasis. Take painkillers and fever relievers such as ibuprofen or acetaminophen. This can make you feel better and easier to sleep. Eat soothing foods, for example, broths, soups, etc . Antibiotics are required. THE BEST ONES ARE Penicillin and Amoxicillin . Antibiotics may cause some harmful side effects. Therefore, they must be prescribed by doctors. Patients must take all the doses prescribed. Stopping antibiotics early can make the bacteria resistant to the medications and cause the disease again. In case of viral tonsillitis, antibiotics are not needed. Rest, adequate water intake, painkillers, and fever relievers are the treatment. Tonsillectomy is the surgery that removes the tonsils. Now we all know that tonsils play an important role in the body’s immune system, so WHY DO SOME PEOPLE HAVE THEIR TONSILS REMOVED? Tonsillitis can occur again and again or become a hindrance to normal activities like eating and breathing. When that happens, the patients should have their tonsils removed. Surgery has been a prevalent and effective way. Nowadays, with many technological advances in the medical field, this can be done with much less pain than the traditional surgery method. The doctors can use lasers, radio waves or ultrasonic power to remove the tonsils . After your tonsils are removed, you cannot catch tonsillitis again (as well as TONSILS STONES). However, YOU CAN GET STREP THROAT WITHOUT YOUR TONSILS. It is mainly based on whether it is strep throat or tonsillitis (viral or bacterial) that leads to the difference in how to deal with the disease. Strep throat and tonsillitis are usually not serious but if they are left untreated, some dangerous complications may happen. Strep throat and tonsillitis can lead to infections of nearby areas, for example, the middle ear and the sinus. After that, they can create abscesses and cause great pain. If that happens, more intensive treatment like surgery is required. Strep throat or tonsillitis caused by Streptococcus bacteria, if not treated properly, can lead to some dangerous diseases many years later. One example is the rheumatic fever, which is the disorder of the immune system, thus affecting various parts of the body like the nervous system, the skin, the heart and the joints. Another complication caused by Streptococcus bacteria is the inflammation of the kidney which can adversely affect one’s life. Fortunately, thanks to the development of antibiotics and medical care, the risk of having these complications have been greatly reduced. Viral tonsillitis will not lead to such complications. However, it can weaken your immune system for a short but enough time for other pathogens to attack your body. There is a great difference between strep throat and tonsillitis in many aspects, as summarized in the table below. Wash your hands regularly with soap and water or hand sanitizer, especially after using the toilet, before eating, and after sneezing or coughing. Do not share personal items, for example, towel, toothbrush, fork, spoon, drinking glasses, etc. Use a new toothbrush if you are diagnosed with strep throat or tonsillitis. Wear a face mask when you are in public. If you have strep throat or tonsillitis, take a few days off from school or work (if possible) until you have completely recovered from the disease. The notable difference between strep throat and tonsillitis can help you tell them apart. They are not serious diseases. However, it is well-advised that you go to see a doctor as soon as possible if you have the symptoms and signs because EVEN IF THEY GO AWAY ON THEIR OWN, they still can lead to different complications that can threaten one’s life or leave behind long-term consequences. Good knowledge of these two diseases might help protect you, your family, and other people. If you find this information helpful, please click like and share. Feel free to ask if you have any questions. We are always ready to help.